Triathlon is the sport of swimming, biking and running consecutively as fast as possible. 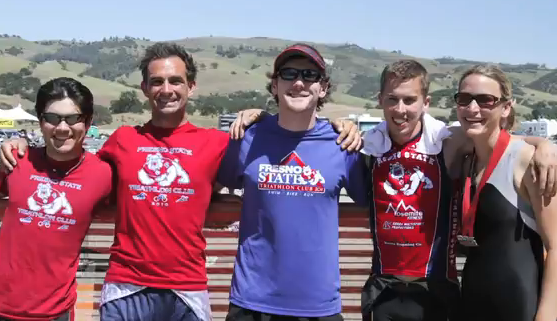 Fresno State has it’s very own Triathlon Club Sport Team and no experience is necessary to join. Even if you just like one portion of the sport, you can still join the team. The club promotes a healthy and active lifestyle and participates in races throughout California. Wildflower is the biggest triathlon on the west coast and is known as the “Woodstock of Triathlons.” Next year the Festival will be celebrating it’s 30th Anniversary, so it will be the perfect opportunity to witness the celebration and spectacle of Wildflower.